Vodafone España is cutting its football offering in favour of moves and series as the central focus of its TV service. The Spanish service provider said it had become unsustainable to offer the El Partizado and Champions League channels at a reasonable price for customers. It said it had declined to accept conditions laid down by Telefónica based on minimum guarantees, but had expressed its openness to an agreement based on variable cost per subscriber. Telefónica holds the rights to the top La Liga matches broadcast on El Partizado, as well as to the UEFA Champions League and Europa League, for the next three seasons. Vodafone said it would offer a new premium football package from next season, including eight matches from the top-tier La Liga Santander, and all matches from lesser Spanish leagues and the Copa del Rey, free of charge to subscribers to its existing football offering and for a fee of €5 to new customers. 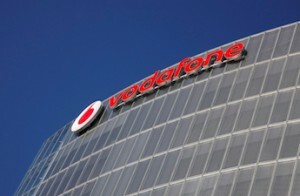 Vodafone said that the move would enable customers to watch what they wanted via a flexible packaging structure. It cited statistics that shows 53% of users viewed movies as they key part of the offering in choosing a pay TV platform followed by series, cited by 40%, with only 21% citing football. Neverthless, an estimated 300,000 subscribers take Vodafone’s football channels today, leaving the operator open to the risk of losing some customers. Vodafone said it was focusing on its movies and series offering. With Movistar Estrenos and Movistar Series recently added to its existing line-up of services that includes HBO, Filmin and AXN Now exclusively and Netflix non-exclusively. Vodafone’s position stands in contrast to that of rival Orange España, which has struck a deal with Telefónica covering the 2018-19 season, with the option to extend this to cover the remaining two seasons.